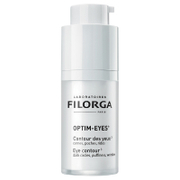 Give eyes a lift with this rich and potent anti-aging eye treatment. 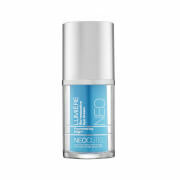 The exclusive MicroVenom formula features wrinkle smoothing synthetic snake venom and rejuvenating apple stem cell technology. Helps smooth, hydrate and firm skin. Reduces fine lines and wrinkles by 52%. 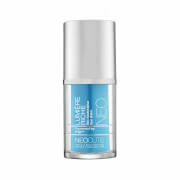 Lightens and brightens skin tone. Water, Cocoglycerides, Vitis Vinifera (Grape) Seed Oil, Jojoba Esters, Caprylic/Capric Triglyceride, Glycerin, Glyceryl Stearate, Cetearyl Alcohol, Butyrospermum Parkii (Shea Butter), Cetyl Phosphate, Tocopheryl Acetate, Acetyl Hexapeptide -8, Acetyl Tetrapeptide-5, Malus Domestica Fruit Cell Culture, Retinol, Palmitoyl Tripeptide-5, Sodium Hyaluronate, Acetyl Glutamyl Heptapeptide-3, Hexapeptide-10, Pichia/Resveratrol Fermet Extract, Dipeptide Diaminobutyroyl Benzylamide Diacetate, Phenoxyethanol, Carbomer, Organic Euterpe Oleracea Pulp Powder, Xanthan Gum, Ethylhexylglycerin, Sodium Phytate, Sodium Hydroxide, Sodium Benzoate, Mica, Silica, Titanium Dioxide, Iron Oxides.